The proprietors of one-of-a-kind Smoke Monkey BBQ Music Hall in Rockwall are passionate about pleasing their customers with authentic BBQ and Southern cuisine. Enjoy BBQ all week long, including Smoked Brisket, The Smoke Monkey Original (Pulled Pork Sandwich) and Sweet and Spicy Pig (a fabulous Bacon Honey Jalapeno Pulled Pork Sandwich). Or come for the daily events, including famous Chicken and Dumplings on Tuesdays, Classic Ranch Hand BBQ/Eddie Deen Mexican Buffet on Wednesdays,Tender Chicken Fried Steak and Gravy on Thursdays, and Catfish Buffet and Cajun Boiled Crawfish (in season) on Fridays and Saturdays. 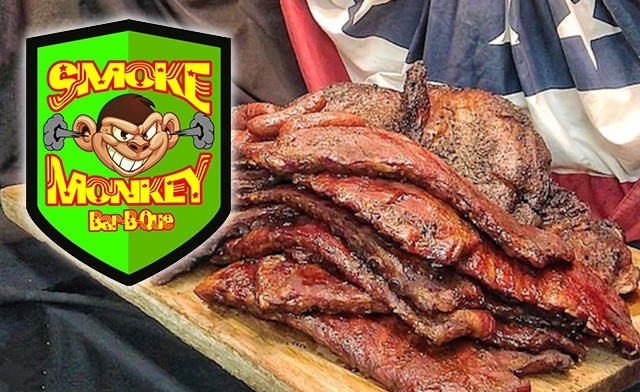 Get a $25 voucher to Smoke Monkey BBQ for just $16! Buy one for yourself and give one as a gift. One voucher per visit, per person.